Editors note: Given ongoing issues in the games industry, the AFL-CIO recently reached out to Kotaku about addressing the people who make games. The AFL-CIO represents more than 12 million workers in the United States across more than 50 labor unions (including the Writers Guild of America, of which Kotaku and its sister sites’ staffs are members). This letter from secretary-treasurer Liz Shuler is the group’s first major public statement about organizing game developers. Executives are always quick to brag about your work. It’s the talk of every industry corner office and boardroom. They pay tribute to the games that capture our imaginations and seem to defy economic gravity. They talk up the latest innovations in virtual reality and celebrate record-smashing releases, as your creations reach unparalleled new heights. My question is this: what have you gotten in return? While you’re putting in crunch time, your bosses are ringing the opening bell on Wall Street. While you’re creating some of the most groundbreaking products of our time, they’re pocketing billions. While you’re fighting through exhaustion and putting your soul into a game, Bobby Kotick and Andrew Wilson are toasting to “their” success. This is a moment for change. It won’t come from CEOs. It won’t come from corporate boards. And, it won’t come from any one person. Change will happen when you gain leverage by joining together in a strong union. And, it will happen when you use your collective voice to bargain for a fair share of the wealth you create every day. No matter where you work, bosses will only offer fair treatment when you stand together and demand it. 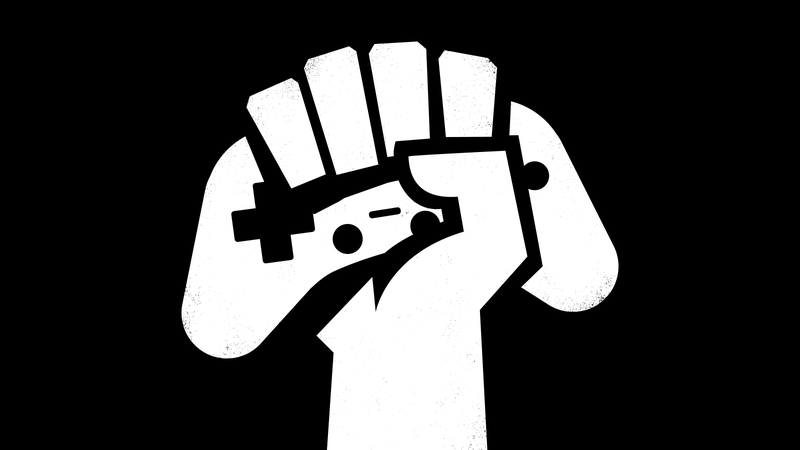 Fortunately, the groundwork is already being laid as grassroots groups like Game Workers Unite embrace the power of solidarity and prove that you don’t have to accept a broken, twisted status quo. You have the power to demand a stake in your industry and a say in your economic future. What’s more, you have millions of brothers and sisters across the country standing with you. Your fight is our fight, and we look forward to welcoming you into our union family. Whether we’re mainlining caffeine in Santa Monica, clearing tables in Chicago or mining coal in West Virginia, we deserve to collect nothing less than the full value of our work. Liz Shuler is secretary-treasurer of the 12.5 million-member AFL-CIO, the country’s largest federation of labor unions. To learn more about organizing your workplace, visit aflcio.org/formaunion.